Baylor won the head-to-head matchup against TCU, but the Horned Frogs are ahead in the CFP rankings. 1. What do you make of TCU being ranked higher than Baylor when their records are the same yet Baylor beat TCU in the head-to-head matchup? ♦ This is easily the most compelling College Football Playoff storyline to follow. On the one hand, you have the committee using the eye test in their decision making process, which -- I think we can all agree -- favors TCU more than Baylor. But there's the possibility that Baylor, with its comeback win against TCU on Oct. 11, wins the Big 12. At the moment, I'm OK with the Horned Frogs getting the nod despite losing the head-to-head because they've looked more deserving than the Bears. And that's what I've wanted most from this playoff committee -- use the eye test. If Baylor wins out and dominates Kansas State in its final game of the season, things can -- and probably will -- change. ♦ I think the College Football Playoff committee is trying to … well, I don’t know what. The whole “strength of schedule based on human eyeballs” isn’t the be-all, end-all. If anything, head-to-head is a part of the process, but there are factors within that -- injuries, for example. I do believe that by Dec. 7 the play on the field will shake out the best four teams. What I don’t like is the uneven schedules, like some conferences having championship games. For all the angst over the SEC dominating the early CFP rankings, there is a distinct possibility that zero SEC teams will make the field -- with TCU and Baylor both in the bracket. If nothing else, Year 1 is setting the stage for expansion to six, eight teams. ♦ Objectivity doesn’t exist; it never did. That’s the lesson taught by the College Football Playoff committee and one I (kind of) agree with. For a little over three quarters, TCU demonstrated itself to be a much better team against Baylor before it blew a 21-point lead. But it was nothing compared to Gary Patterson’s handling of TCU’s final fourth down. On the 50-yard line with a 4th and 8, he decided to play for overtime. Then, Baylor gave up five yards on a substitution penalty, making it 4th and 3. They were going to punt still, then they weren’t, then Patterson called a timeout, and went for it with an atrocious play call, and turned it over on downs, leading to the game-winning field goal. One of the few times you can put it on a coach for losing the game. I don’t know. To me, that doesn’t mean Baylor is better, or deserving of the higher ranking, at all. Eye test, TCU’s still better. Stephen Sellner: I think the playoff has always been destined for eight teams, but it just had to start out with four teams to see how it would shake out. We'll see if that changes over the next few years. But it definitely shows that humans are running the committee and not numbers, which I find refreshing. The storyline after that Baylor-TCU game wasn't how Baylor won the game, it was how TCU let it slip away. You're absolutely right on that, Brendan. Duane Cross: The human thing is fallible, though; eyeball test says Florida State is not one of the top four teams in the country. Numbers test says likewise. FSU remains in the bracket based off of 2013 success. We can argue that until the cows come home, but there will be people who agree and disagree with that. Same thing with TCU vs. Baylor. Head-to-head, BU gets the nod -- and yet, TCU has the CFP spot at the moment. Brendan Bures: ...Although those humans have some biases just like polls and computer rankings. I feel like there's a strange circular logic that supports their reasoning sometimes. From this season, two changes will happen within the next three years or sooner: a) teams will start planning a lot more marquee matchups before their conference schedules and b) the Big 12 will initiate a championship game. They'd be foolish not to. Stephen Sellner: It's certainly fallible, but I like to think there's enough of a football IQ inside the committee that they can decipher what the best teams are. But I wanna go back to one of your first points, Duane: Do you really think there's a chance both Baylor and TCU make the playoff and the SEC is left out? Brendan Bures: Oh yeah, very easy to see that happening. As I said in Head-to-Head this week, Alabama beats Mississippi State, then Alabama loses in SEC champ game to say Georgia or Mizzou or whoever, and how could you argue an SEC team deserves it with two losses? Especially if something very plausible happens like Mississippi State losing to Alabama and then drops its game against Ole Miss in the Egg Bowl? SEC carnage leaves everyone laying on the ground out of the race. Duane Cross: The B12 will need to expand, Brendan; the schools that join will be telling. And while there may be more marquee matchups -- timing of those games will be important. Play the spotlight game early, so if you lose, there’s time to rally. Brendan Bures: Exactly, Duane. Alabama and Oregon's losses have seemed not to factor into the committee's logic at all (more on that later). Because they lost relatively early, people have given them the benefit of the doubt. Duane Cross: Yes, the SEC could be shut out. If Alabama beats Mississippi State on Saturday, that’s the end of the road for MSU -- even if it beats Ole Miss. … So Alabama would seem to be in the driver’s seat. If Auburn knocks off Alabama, that’s two losses for the Crimson Tide -- and a key loss late in the season, which would virtually eliminate Bama. The SEC West winner goes to the SEC Championship Game and loses to a weak SEC East team -- and there you have no SEC teams in the CFP. Brendan Bures: Basically, TCU being ranked ahead of Baylor matters not at this point. Too much football left. Stephen Sellner: It might not matter in terms of who will end up ahead in the end, but it certainly gives people some insight into the committee's rational and decision making. And that helps us -- media, fans -- to project how the committee will make tough decisions. And the only SEC East team I could see giving the SEC West representative trouble in the championship is Georgia. Duane Cross: And if anyone thinks Georgia is a CFP contender, we’ll have to agrees to disagree. Brendan Bures: Nope, we're on the same page with that one, boss. Stephen Sellner: Agreed, Duane. SEC West or bust. Duane Cross: Don’t lose sight of Ole Miss in the SEC West; the Rebels can still win the division. Even so, I don’t think they would make the CFP, even winning the SEC title game. 2. Florida State dropped to No. 3 in the CFP rankings. Is the skepticism of the Noles justified or getting overblown? Duane Cross: There’s a lot of attention being put on FSU-Miami. Basically the Seminoles’ biggest win of the year -- the last-second, dodge-the-bullet at home against Notre Dame -- was exposed in the Irish being taken to the woodshed last week by Arizona State. So Saturday is Florida State’s last chance to really make a regular-season impression -- and it’s against the No. 3 team in the ACC Coastal. Then the Noles have BC and Florida before the conference championship game against (most likely) Duke, which is languishing in the 20s in the CFP rankings. … If the eyeball test were truly put to use, Florida State would be sixth, seventh. As it is, FSU is benefiting from being the defending national champion. FSU has looked vulnerable, but is 9-0. Brendan Bures: But to Duane's earlier point: You can't only use the eye test. It's too fallible. And with these rankings week by week, they do seem to collapse in upon themselves like the plot of Interstellar (although that made more sense than some of the CFP committee's decisions). Skepticism of Florida State is healthy and deserving. The Seminoles are not the same team as last year; they are worse. But I do feel like the lesson of this year -- that winning every game in college football this year is really hard -- is used to lift some like Oregon, Georgia, and Utah, and then used against Florida State. I still don't think they should've been jumped. 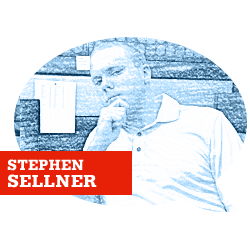 Stephen Sellner: This one's interesting because I had all my attention on the No. 4 spot between Alabama and TCU, and then the committee throws us a curveball with Oregon leaping FSU. Again, I think this poll shows the committee values the eye test and won't solely look at W-L. In the end, if both teams are No. 2 and No. 3 in some order, there's little to be lost by falling a spot. It just affects what kind of uniforms the Ducks pull out of their collection. I think the Noles dropping is justified, but I do find it a bit interesting that Oregon was rewarded after one of its biggest wins -- at home vs. Michigan State -- took a significant hit with Sparty getting waxed at home by Ohio State. Duane Cross: Yes, running the table is tough, Brendan -- but the ACC is not a gauntlet; the schedule plays a large part in why FSU has detractors. Hey, some years it’s going to work against a team -- and that’s where common sense has to be applied. I hope the CFP uses some on Dec. 7. Until then, we’re all feeding the beast. Stephen Sellner: I think the eye test is the best way to evaluate these teams. Within reason, of course. Duane Cross: OK, Stephen -- eyeball test: Is Florida State a top four team? Stephen Sellner: At this point, no. I'll have a definitive answer after seeing how Alabama looks against Mississippi State. Stephen Sellner: There's something to be said about a team that knows how to win, though, and FSU -- and Famous Jameis -- definitely have that trait. But strictly eye test, I can't say they are a top four team. Brendan Bures: So if we're ranking these teams only on the eyeball test than why even have a playoff? Kick it back old-school and just have the AP reward a national champion at the end of the year. Leave it at that. Playing games matters. Winning matters. Ask Oregon who lost to Arizona. Ask Alabama who lost to Ole Miss. Ask Arizona State who lost to UCLA, who turned into the overhyped disappointment we thought they'd be. Oregon leaped past Florida State to nab the No. 2 spot, despite the Ducks having a loss. Stephen Sellner: Now you're getting ridiculous, Brendan. The eyeball test should be used when making tough decisions between teams, especially when it comes to the No. 4 spot. Playing games matters, but the games you play helps to prove what that team is made of. Florida State has not been tested as much as I think some in Tallahassee would like to believe. Duane Cross: Eyeball test and on-field play -- Florida State is not one of the best four teams in the nation. FSU has struggled against teams it woulda, coulda, shoulda handled with much more success. It is not a knock against FSU -- it’s just the way it is, if people take off their garnet-colored glasses. I believe the Seminoles have been given a pass based on 2013. Again, we can agree to disagree -- but matching up team vs. team vs. team and going down the wormhole of which stacks up where, FSU is outside looking in. Brendan Bures: Eye test can be largely deceptive. Alabama's win against LSU is considered a marquee win on its schedule. A certain type of eye test would support that. But LSU's first win against Wisconsin only happened because Gary Andersen inexplicably decided to stop feeding it to Melvin Gordon. Outside of a sneaky win at Ole Miss -- where Bad Bo showed up in full regalia -- LSU has been overrated since the beginning. And then what about Oregon's loss to Arizona -- does that become more significant if Arizona loses to Utah and Arizona State in its last two games of the year like we think will happen? Where's the eye test then? I just find it highly suspect when we're punishing winners as much as we are. Stephen Sellner: So where’s the love for Marshall then? Brendan Bures: I've been beating that drum! How is Minnesota -- MINNNNY-SOTA -- and Texas A&M ranked yet Marshall isn't? Does not make sense to me. 3. Mississippi State-Alabama. Who ya got? Brendan Bures: Man, if this was played at a neutral site, I'd say it's a push. Playing in Tuscaloosa helps Alabama so much, and should give the Tide the edge. The Bulldogs have been a mystery these past couple weeks with tight wins (although those weren't criticized ...). Even as much as logic dictates me saying Alabama, I still think Mississippi State is the more complete team and with Prescott at QB, I think MSU will pull it out. The Bulldogs love where they're at right now: No one's talking about them, can return to that comfortable place of "Nobody believes in us," and can spoil everything for Nick Saban. Also, have we had more top-ranked teams claim being overlooked than years past, or am I crazy? Feels like no team within the top 10 gets the respect they believe they deserve. Stephen Sellner: I'm going with Alabama 27-21. The Tide are the better team, and they're at home. There'll be plenty of Lane Kiffin full-body fist bumps from the sidelines. And Brendan, it probably has to do with a certain new playoff format where the media and fans are so consumed with the top four. So all of a sudden saying a team is No. 10 is disrespectful. Duane Cross: I’ve got Alabama -- with Lane Kiffin calling a deep ball on the first play from scrimmage. … I do think Alabama is going to be ratcheted up a notch or three on Saturday and we’re going to see an old-school, smash-mouth, slobber knocker. Mississippi State will throw haymakers for haymaker but ultimately I think Kirby Smart dials in the Alabama defense enough to reign in Dak Prescott. Brendan, MSU was challenged at Arkansas -- the proclaimed “best team without a win in [insert stat here]” -- but otherwise is doing what it’s done all season. So I’d contend if there is any top-10 team shunning going on, your comment is Exhibit A.
Stephen Sellner: I don't think Mississippi State has been disrespected. Do you guys? It's not like Duane and I are saying the Bulldogs are going to get run out of the stadium. It'll be a close game, no doubt. 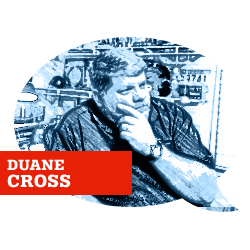 Duane Cross: No, deservedly moved to No. 1 when it was -- but if Mississippi State loses on Saturday, it’ll freefall out of the top four into the lower levels of the top 10. Book it. In that scenario, I will agree with B-Money. Brendan Bures: Look, as much as I believe LSU and Texas A&M are getting ranked based on past legacy, I believe MSU's the best team right now. And I'm sure they do, too. But man, really feels like people are jumping onto this Alabama bandwagon, including the dude in this chat from Mississippi. Duane Cross: Age -- that’s the difference, Brendan; I don’t get caught up in shiny objects, smoke and mirrors. I look at the whole, not some morsel that can make a case in my favor. My first college football game was Georgia-Mississippi State on Oct. 2, 1982, when Herschel Walker led the Dawgs to a 29-22 win in Starkville. I’ve seen a few college football seasons play out; don’t get lost in the now -- and always look at the big picture. Stephen Sellner: Does that "nobody respects us" mentality for MSU have more to do with the "what have you done with me lately" bias? Brendan Bures: Yes, Steve, it does. MSU's been out of the spotlight for the past three weeks, aka an eternity in CFB time. Stephen Sellner: I agree with that. Duane Cross: I’d have a bigger beef with Ole Miss, losing as it did against Auburn and freefalling. In that case, I can see where the CFP applied some logic -- losing their top receiver and the game in one felled swoop -- but if Ole Miss beats Arkansas, Mississippi State and wins the SEC title game, how can that loss keep Ole Miss from being considered a top-four team? Fact is, Ole Miss will have trouble leapfrog from No. 10. Stephen Sellner: I'm so glad I don't have to make these decisions. I can just sit back and second guess them. 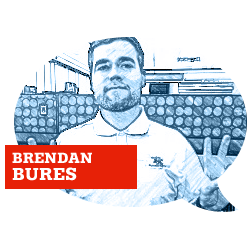 Brendan Bures: It does feel like Ole Miss and Nebraska got brutally punished for losing whereas Michigan State, Utah, and LSU have not. (I'm beginning to realize that any LSU fan reading this probably hates me continually arguing for others' greatness by my belief that the Tigers aren't that good.) Man, these weekly CFP rankings really have us messed up. By the end of the season, it will be much clearer who's top and who's not...I hope. Duane Cross: At 8-1, Nebraska probably has a right to gripe about being behind the likes of UCLA, Michigan State, Georgia -- but LSU is a non-starter, and with three losses shouldn’t even be in any conversation. Anyone who thinks otherwise needs to tend to their roux.